Two brothers from Twerton, near Bath, have each been ordered to pay £600 in costs, carry out 100 hours of unpaid work and be subject to a year’s Community Order, after admitting fly tip offences in areas of South Gloucestershire and Bath. Zachary Adams, 28, and Felix Adams, 25, of Tanners Walk, Twerton, admitted four offences of jointly fly tipping waste when the case was heard at North Avon Magistrates’ Court on Friday 15 April. Three of the offences took place in the Bath area, namely Newton-St-Loe and Bloomfield, and the other one at Marshfield Lane in Wick, South Gloucestershire. The court heard that the Adams brothers started a house clearance and rubbish removals business early in 2015, and advertised their services on the internet. However the business didn’t prove to be a success and when they collected waste from addresses around Bath and Bristol, they fly tipped the waste rather than dispose of it properly. The fly tip in South Gloucestershire took place when the brothers were returning home from picking up waste in Brislington, Bristol, and stopped off on Marshfield Lane to dump the waste. The court also heard that on one occasion the brothers fly tipped on the parking area at the rear of a private house and on another occasion in a country lane. Their business struggled and ceased trading altogether in the summer of 2015. South Gloucestershire Council’s Communities Committee Chair Cllr Heather Goddard said: “This continues our zero tolerance policy regarding fly tipping and serves as another reminder that if you are involved in the illegal dumping of waste in South Gloucestershire, you will be prosecuted. 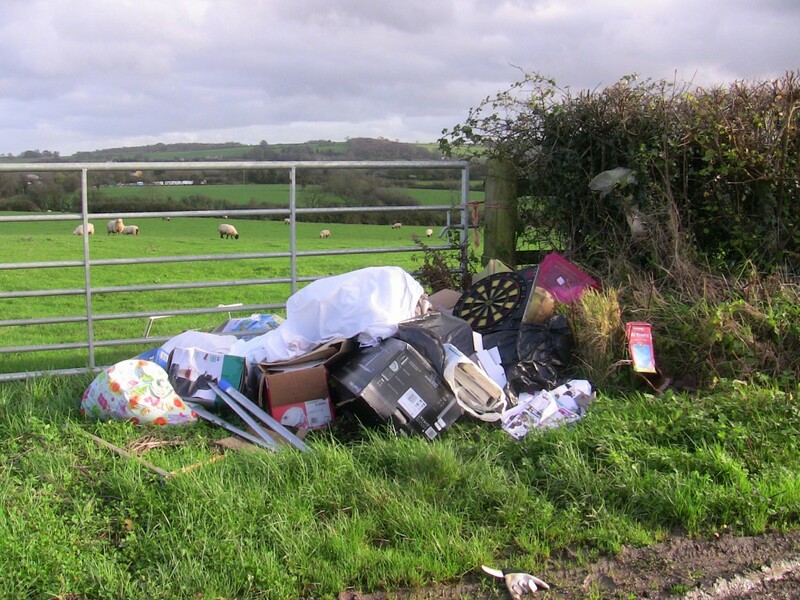 In another case heard on the same day, a Yate woman was ordered to pay a total of £574 in fines and costs after fly tipping waste in a South Gloucestershire country lane. Emma Curness, 29, of Lansdown, Yate, appeared at North Avon Magistrates’ Court on Friday 15 April and admitted fly tipping waste at Gibbs Lane in Dodington, South Gloucestershire. The court heard that Curness had cleared rubbish from her house into a van and emptied the contents in Gibbs Lane. Curness was handed a £240 fine, a £24 victims surcharge and ordered to pay costs of £310.